London: Islamophobia, racism and hate crimes are on the rise around the world and are a concern for US with Indians and Muslims being targeted. While women in hijab have been targeted, a Sikh man was shot after an Indian techie was shot dead in a tragic incident. 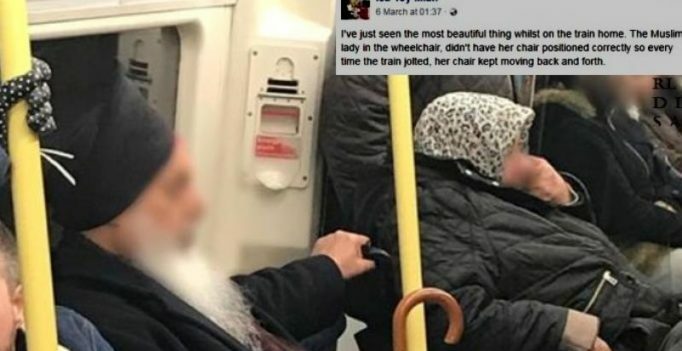 But times of crisis also work to bring people together for helping each other as a commuter in UK realised when he saw a Sikh man help a Wheelchair bound Muslim woman. 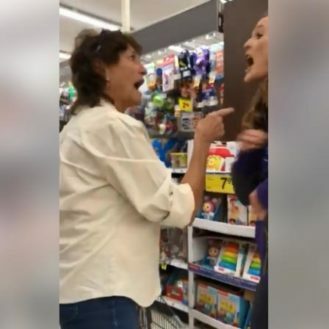 He wrote in a Facebook post that the woman’s wheelchair wasn’t positioned correctly and that’s why it would move back and forth when the train jolted. 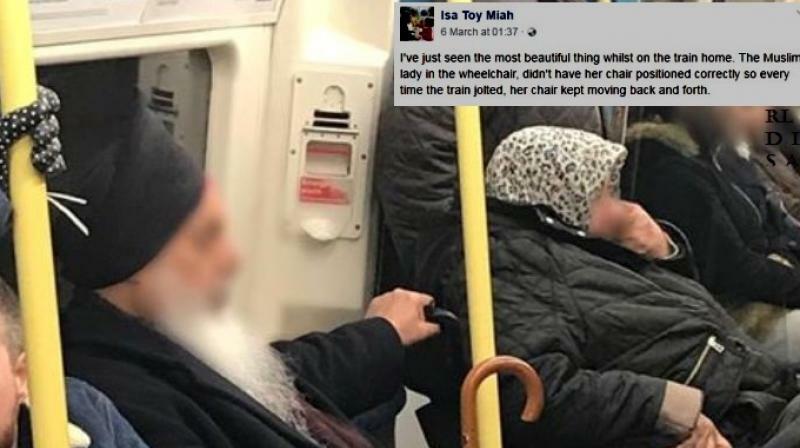 The Sikh man positioned it properly and tried to apply brakes which didn’t work properly, and so he held the woman’s wheelchair for the rest of the journey. The heartening post has gone viral on social media and signifies how people help each other beyond religious differences along with making a point about treatment of disabled people.